& Grab A Slice Of MPC! 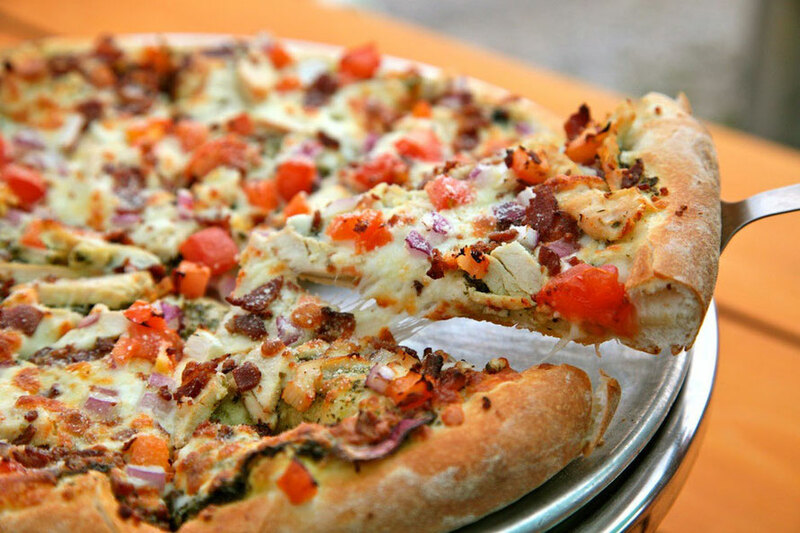 Located beside Split Rail Brewing Co.
Best Combination: Fresh, Hot, Homemade Pizza With An Ice-Cold Local Brewed Beer! The Manitoulin Pizza Company started operating in 2017 where Richard Anger, the proud founder, has years of experience creating delicious and hand-crafted artisan pizzas. How Passionate Is Richard About Pizza? Here is a fun fact for you: He eats pizza everyday! That is dedication to great pizza my friends. From the family business to running his own: Richard started his love affair with pizza by working in his family pizza business at the ripe age of 8. His love and interest in pizza and business continued to grow through out the years and working at a pizza joint in Hamilton Ontario, sealed the deal. Having gained more experience working in the pizza business, the pizza joint in Southern Ontario allowed him to gain the true hands on training he needed to later run his own business. By talking to customers, gaining feed-back, and learning the art of pizza making, Richard was able to take the skills and experiences he learned to bring it back home to Gore Bay. With his years of pizza making and learning the foundation behind what makes great pizza, he was able to help open a brand-new restaurant in 2009 called 'Buoys Eatery' on the island. Adding his own twist to the art of making pizza, Buoys became known through out the North Chanel of the island for signature pizzas and homemade food. Since Buoys success through the years, Richard wanted to continue to expand his love of pizza by creating a mobile pizza truck that would have the same homemade quality as the restaurant, but be accessible around the island. In 2017, the 'Manitoulin Pizza Company' was born and the lime green pizza house, on wheels, can be seen a mile away at the Split Rail Brewing Co. Try a fresh, hot, mouth-watering pizza with all the fixings, while taking in the sunsets and enjoying a cold Split Rail beer. You won't be disappointed you scrolled your mouse down to try the pizza below.